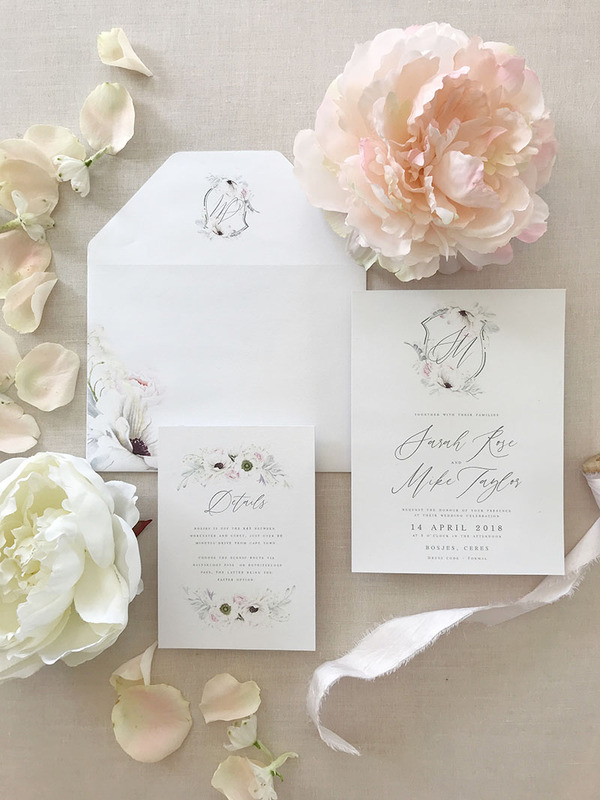 The Fairfax invitation suite was most certainly inspired by the great work of one of my favorite novelists – Jane Austen. 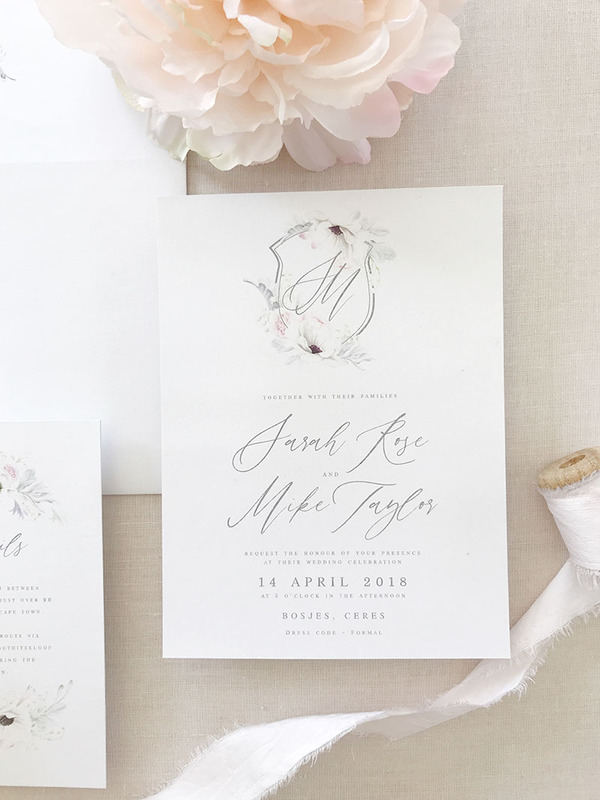 A dreamy whimsical invitation that transports you to the beautiful English countryside. 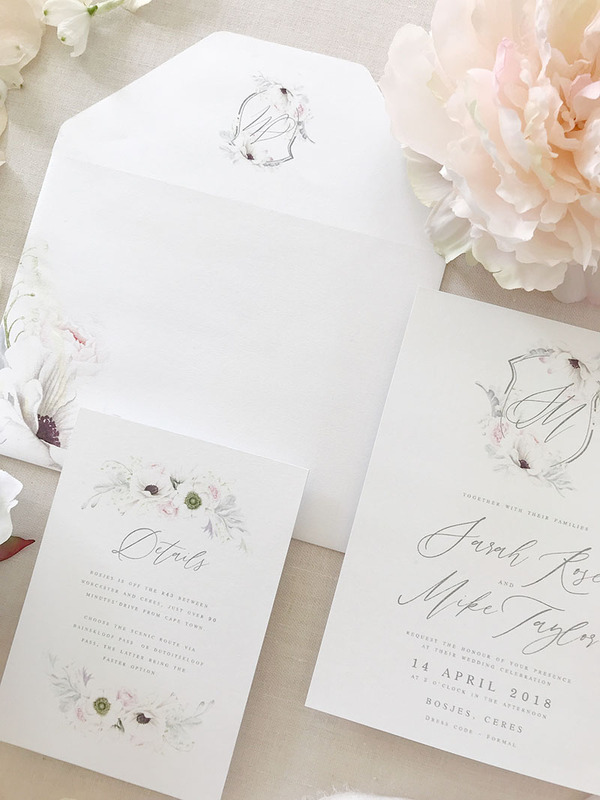 The invitation and extra info card are accompanied by a floral printed envelope. **Guest names can be addressed on the front of the envelope at an additional fee. (Pop us an email for pricing).